We've been advised to limit our alcohol intake for the sake of our health and here's another reason - the climate. Alcohol consumption is responsible for 1.5% of total UK greenhouse gas emissions and 700,000 tonnes of beer bottle waste. The most effective way to reduce this impact is to drink less as there are energy and climate impacts at every stage of production, distribution and consumption. 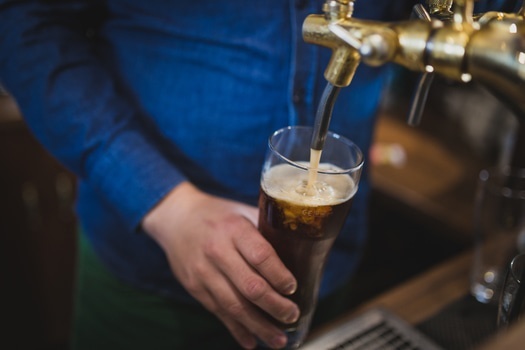 Choose draught beer and cider to save some of the 700,000 tonnes of UK beer bottle waste. Drink ale, stout and red wine in traditional style at room temperature to save energy emissions from refrigeration. Choose locally produced beer to save beer miles. With the current fashion for locally produced, boutique beers, this really should not be too much of a penance.